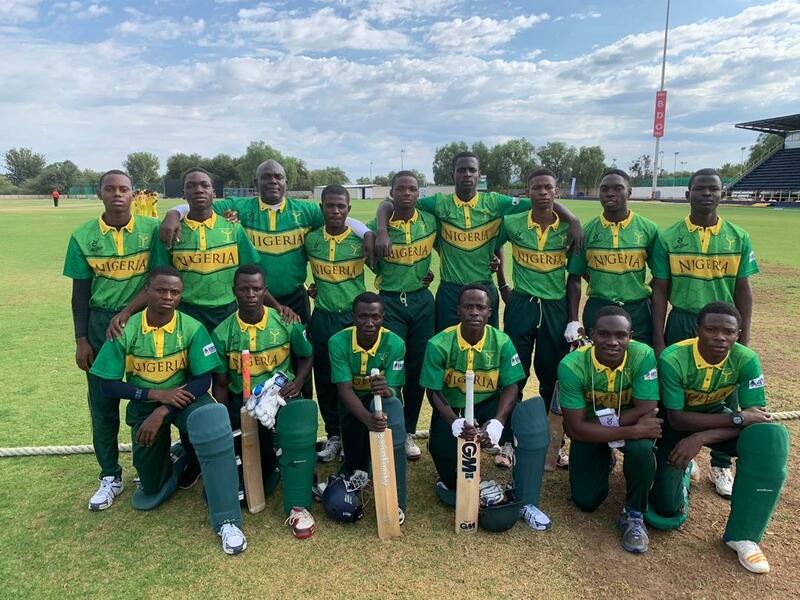 Uganda Baby Cricket Cranes becomes 3rd casualty as Junior Yellow Greens with thier latest alias “Giant Slayers”, records historic Hat-trick wins in the ongoing ICC U-19 World Cup Africa Qualifier Division 1 in Namibia. For the 3rd consecutive time in this tournament, Nigeria was put in to bat after Uganda won the toss and elected to field first. Nigeria struggled in the openings stages of the game as they lost 4 wickets in less than 15 overs with just 14 runs on the board. It looked like another sad love song with a bitter ending until Captain Sylvester Okpe and Samuel Mba managed a decent partnership of 54 runs to steady the ship before both fell and Nigeria could only recorded a meager score of 110 runs all out in 48 overs. 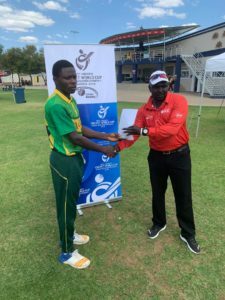 Samuel Mba scored a priceless 56 runs off 135 balls, supported by Sylvester Okpe with 26 runs as the best performers with the bat for Nigeria. In the second innings, Uganda were off to a flying start with 42 runs for the loss of 1 wicket in 12 overs. Then the killer instincts of the Junior Yellow Greens bowling attack came into full swing as Taiwo Mohamed, Danladi Isaac and Abolarin Rasheed tore into the hearts of the Ugandan bating line up and shattered them into fragments too many to piece back together. Nigeria won by 30 runs and goes strait to the top of the table with one hand firmly on the trophy. 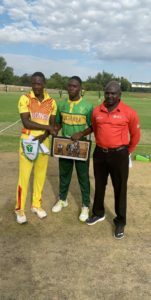 No Replies to "Uganda Baby Cricket Cranes becomes 3rd casualty as Junior Yellow Greens Match on in Namibia"